ENGINE SHED announces festival showcasing digital innovation in the heritage sector: Scotland's dedicated building conservation centre will host programme highlighting the use of ground-breaking technology to preserve and explore the past. DigiFest will also incorporate two-day international conference featuring high-profile industry experts from across the globe. 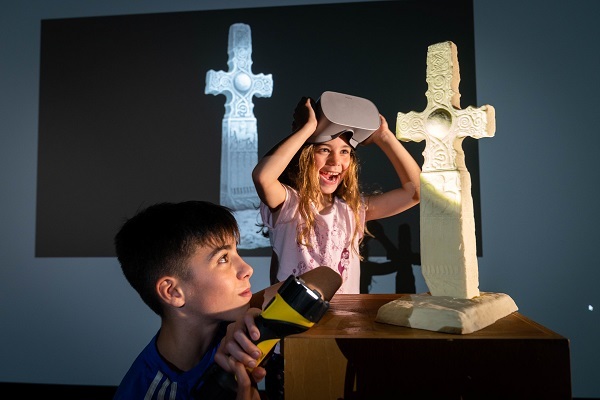 STIRLING - 29 August 2018: Historic Environment Scotland (HES) today unveiled the programme for a digital heritage festival, a first for Scotland. Taking place from Monday 8 to Saturday 20 October 2018 at The Engine Shed, Scotland's dedicated building conservation centre in Stirling, DigiFest will highlight Scotland as a global leader in digital innovation in the heritage sector. Aimed at schools, professionals, families and young people, it will feature a range of free events and activities allowing visitors to explore the latest technologies in areas including 3D modelling and printing, augmented reality, virtual reality, gaming, animation, robotics and coding. The festival will also incorporate DigiDoc, a two-day international conference running from 11-12 October, and the DigiDoc Research and Innovation Day which takes place on Wednesday 10 October. Showcasing ground-breaking technology, DigiDoc features an impressive speaker line-up of academics and high-profile industry experts from organisations such as Google, the Smithsonian Institution and gaming giant Ubisoft, and is expected to attract professionals in the technology and heritage sectors from across the globe. A selection of speakers will also participate in the DigiFest programme, along with the Engine Shed's own team of experts. 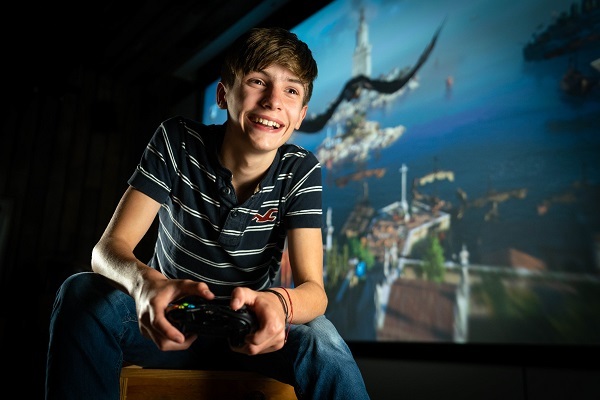 DigiFest will offer a range of activities for visitors to get involved in, including demos of action-adventure video game Assassin's Creed and the chance to hear more about the technologies behind it from the game's historical researcher, and robot races with Sphero SPRK, a robot toy which teaches children how to code. There will also be a masterclass on the history of animation, from Stop Motion to the latest Computer-Generated Imagery (CGI), with leading animation and visual effects company Tippett Studio, whose credentials include sequences in the Star Wars, Harry Potter and Twilight franchises. Visitors inspired by the talk can make their own Stop Motion animation films. 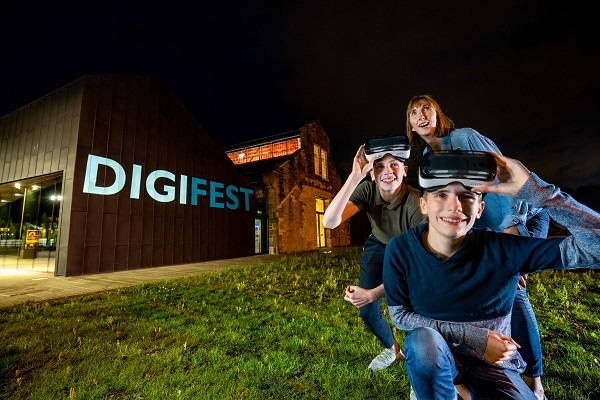 In addition to the diverse programme of talks and workshops, DigiFest will see the creation of a “Digital Village” outside the Engine Shed. This will include an immersive reality walk-in dome pioneered by digital content producer Soluis, which facilitates highly immersive VR experiences by enveloping the users' full field of vision and utilising surround sound. Launched by Historic Environment Scotland in July 2017 as a central hub for building and conservation professionals and the general public, The Engine Shed has seen a highly successful opening year, welcoming over 15,000 visitors and winning a number of awards. 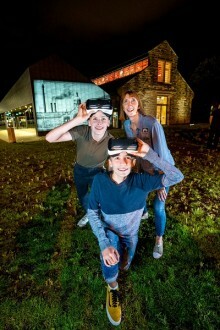 The establishment of a public-facing facility, which includes a large scale interactive map allowing visitors to explore over 2000 years of Scotland's history through the power of augmented reality, aims to engage the next generation with our historic environment and the value of protecting and preserving it. Delivered by Historic Environment Scotland and supported by Stirling Council, DigiDoc is sponsored by Leica Geosystems, a leading provider of premium 3D laser scanning equipment and services, and DigiFest is sponsored by Creative Scotland.